The USA Freedom will be competing at their third International Cup in 2017 from August 5-19 after posting consecutive third-place finishes in the past two editions of the IC. The playing squad for 2017 has a number of well-regarded veterans, including star forward Kim Hemenway, the former Sacramento Sun 5’8” utility Katie Klatt and the versatile Lindsay Kastanek. Hemenway and Klatt were selected to the AFL Women’s Academy last year after impressing at the league’s talent search in Sydney and both played in the GWS vs Sydney AFLW exhibition match. Klatt has spent the 2017 season playing with Melbourne Uni and represented North Melbourne agasint the Darebin Falcons in an exhibition match at Arden St earlier in the season. Midfielder Melissa Armstrong is one of the most experienced Freedom players around and fought her way back from a knee injury to make the side again. The team is coached by Leigh Barnes, a Tasmania native who has been in this position since 2010. Assistant coaches include Dale “Diesel” Williams (backline), Troy Anthony (forward line), and John Ironmonger (midfield). Jess Whisney, a former Minnesota Freeze player, acts as the team’s manager. The story of women’s footy in the States began in 2003 and 2004, when a series of exhibition matches were played, beginning with teams in Atlanta, Arizona, and Orange County. 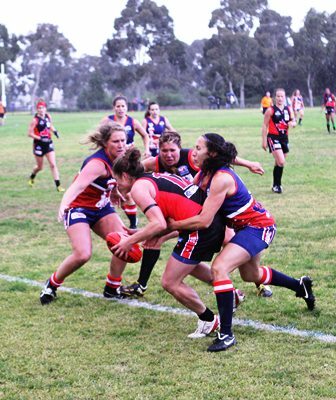 The women’s competition officially began at the 2005 USAFL Nationals, with Atlanta emerging victorious as the first premiers. 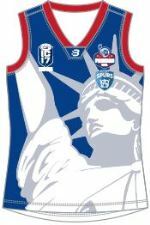 Historic USAFL clubs such as the New York Magpies and the Denver Bulldogs began fielding women’s sides around 2009, with Sacramento and Milwaukee also forming teams. The Lady Bulldogs are nearly as successful as their male counterparts; they have captured six Division 1 USAFL flags, compared to the men’s eight premierships. There are currently 16 women’s teams in the USAFL, and the reigning premiers are the San Francisco Iron Maidens. 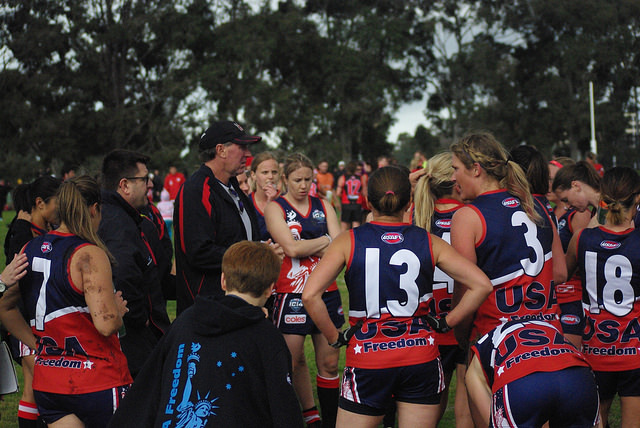 The USA Freedom were founded in 2007 when the USAFL women’s competition was still in relative infancy. They were the first international women’s team that toured Australia (in 2009) and made their initial International Cup debut two years later. 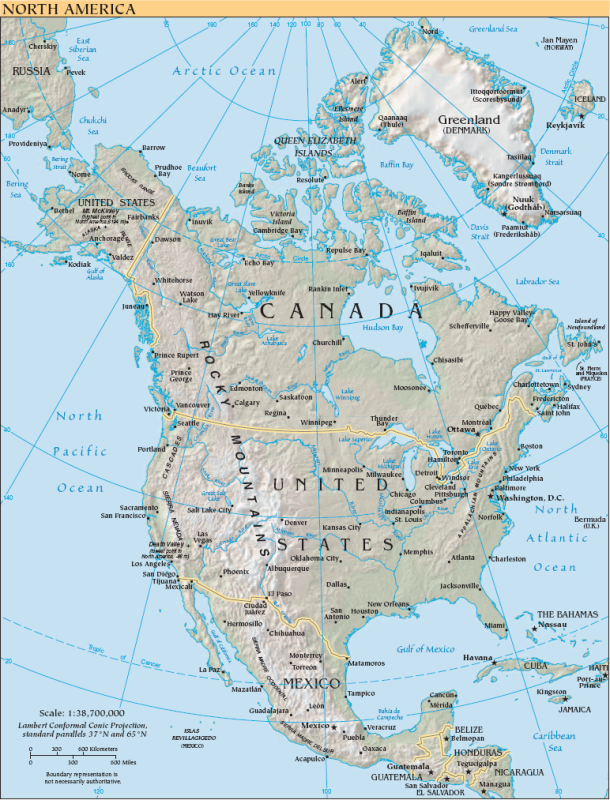 Just like the USA Revolution men’s side, the Freedom also competes against Canada in the 49th Parallel Cup, held in alternate years when the IC does not occur. In addition to the Freedom, the women also field a development side known as the USA Liberty, founded in 2014. The Freedom debuted at the IC in 2011, back when there were only five women’s teams in the competition. They impressed with big wins over Australia Indigenous and Multicultural team and Papua New Guinea, but also lost to Ireland and Canada, who finished first and second on the ladder, respectively. Most recently at the IC14 tournament the Freedom were matched up against Canada’s two women’s teams, losing by 54 points to the Northern Lights and defeating the Midnight Suns in the third place playoff. The Freedom also took on two new IC countries, beating Tonga and Fiji. They also played against their second side the USA Liberty. Overall, the Freedom finished with a 4-1 record, an improvement over 2011’s 2-2 mark, and finished third on the ladder. ● Melissa Armstrong (Arizona Hawks). ● Brette Brower (Golden Gate Roos). ● Andrea Casillas (New York Magpies). ● Jessica Estrada (Golden Gate Roos). ● Catherine Georgiadis (Minnesota Freeze). ● Jessica Gray (Denver Bulldogs). ● Kim Hemenway (New York Magpies). ● Catherine Hoha (Minnesota Freeze). ● Lindsey Kastanek (Denver Bulldogs). ● Hallie Lee (Denver Bulldogs). ● Siobhan McHale (New York Magpies). ● Lauren Shelton (Minnesota Freeze). ● Jessica Blecher (Portland Steelheads). ● Alison Brenmner (Denver Bulldogs). ● Elizabeth Danielson (Sacramento Suns). ● Bevin English (Golden Gate Roos). ● Paige Kiecker (Minnesota Freeze). ● Katie Klatt (Sacramento Suns). ● Rosemary Kloch (Sacramento Suns). ● Margaret Leone (Golden Gate Roos). ● Sara Magallon (Golden Gate Roos). ● Katrina Scherer (Columbus Jillaroos). ● Carly Smolak (Golden Gate Roos). ● Natalie Wolff (New York Magpies). ● Karen Stablein (Baltimore Washington Eagles). ● Oahn Nguyen (Sacramento Suns). ● Robyn Leslie (Golden Gate Roos). *Two from this list will be emergencies. The Freedom will be featured in Pool B of the women’s IC competition. The first game will be held at Royal Park’s Ransford Oval, as the Freedom clash with the Ireland Banshees at 2 PM on August 6th. Just like the men’s competition, Round Two will be played at local schools, as the US takes on Papua New Guinea at Wesley College, Melbourne. Round Three (Community Round) commences on the afternoon of August 13th, with the Freedom taking on the European Crusaders at noon on the campus of the University of Melbourne. Once the Pool B matches conclude, they will play against the Pool A teams in the semifinals based on seeding. The Pool A teams consist of Canada, Great Britain, Fiji, and Pakistan. The winners of the semifinals will play each other, as will the losers of that round, and the Women’s Grand Final will be held at Etihad Stadium on the afternoon of August 19th. The 2017 Freedom squad are about as balanced as they can be -- 13 newcomers and 13 veterans. However, even among the newcomers, there’s a good baseline of talent, and many of the women come from winning clubs in the USAFL. The team’s IC schedule will be intriguing; both PNG and Ireland are familiar foes, with the European Crusaders team being more of an unknown. As usual, Ireland, PNG, and Canada will be tough teams to topple, but the USA seems to be ready for the challenge. With a strong tradition to build on and some talented athletes in the mix, the Freedom could be ready to crash the IC party and make some big plays if the Sherrin bounces their way.